I have worked with people therapeutically for 30 years. I began by working in therapeutic community work based in London. For many years, I managed a therapeutic day centre for adults who had experienced mental illness with emphasis on rehabilitation through the creative arts, individual counselling and groupwork. I have supervised and trained staff and students for many years. I have worked in private practice as a psychotherapist since 1998. My working life in the field of psychotherapy began with an interest in the writings of C.G.Jung. Since this initial encounter, I have broadened my understanding considerably through my own life experience and interests together with studying other theorists in the field of psychotherapy, psychoanalysis and philosophy within my training. However, I have found myself impelled to return to Jung’s way of enabling us to perceive ourselves: relating to our inner experience through dream work and the exploration of the interface of spiritual and psychological life. 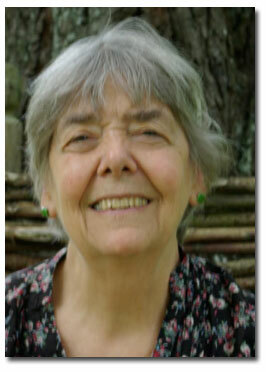 Since 2009 I have been closely involved in the work of the Marion Woodman Foundation, focusing on body awareness and movement in the light of Jungian understanding. The matrix of life energy very often needs to find a new order which will enable that very energy to flow more freely and creatively. Psychotherapy is aimed at helping this natural process to unfold. The psychotherapeutic relationship helps with understanding and treating depression, anxiety, confusion in daily life, relationship difficulties at home or in the workplace, personal loss, lack of motivation and vitality, lack of confidence, confusion regarding meaning in life, spiritual life. A person may have had traumatic experiences in their childhood or in later life, traumas which continue to affect their life now. My work involves enabling people to become aware of aspects of their lives, which may be unconscious (ie. unknown as yet) by understanding more fully their life story and how that affects the present, as well as working with dreams (voice of the unconscious), and imagination (movement in the present towards the future). I am here to help you discover for yourself who you are and to find ways with you of realizing aspects you would like to bring into your life. How long does a psychotherapy last? It all depends on the client’s wishes and needs. Some people may just wish to deal with a specific issue or new circumstance in their lives, and a few sessions may help individuals to clarify their thoughts and feelings, to come to terms with events, or to give them a new impetus or direction in life. On the other hand, individuals may feel ready and willing to embark on a more long-term and in-depth therapy, reflecting their desire to get to the root of long-standing problems. As well as working face to face, I also use Skype, webcam and the telephone for consultations. Please feel free to contact me if you would like more information, or to arrange an initial appointment.